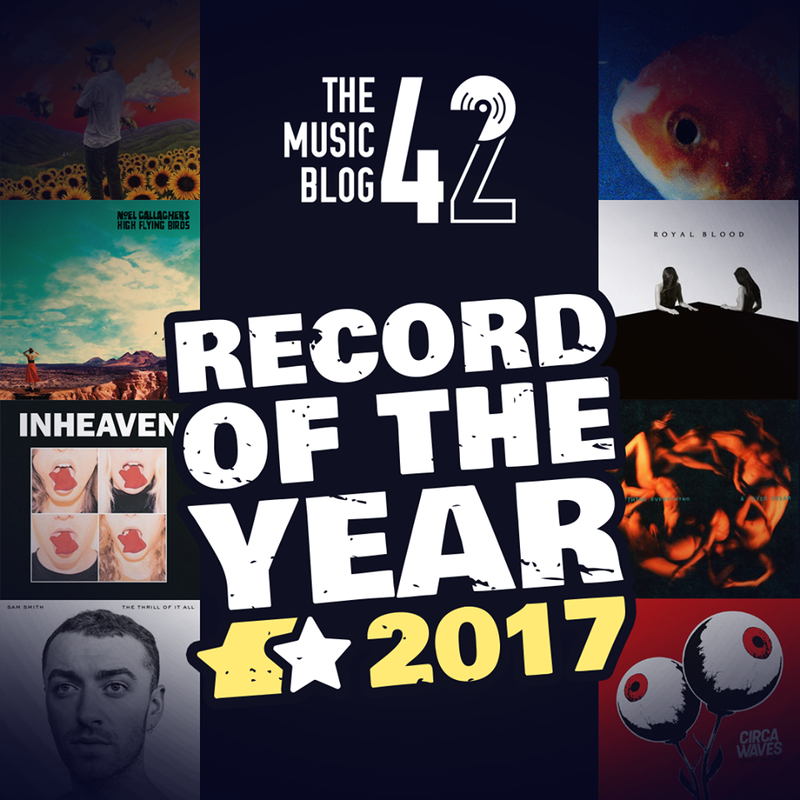 This week, we go from from 31 to 21 in our Record of the Year countdown. Remember, the list is updated every Friday of December, with the Record of the Year top 10 on 22nd December! alt-J’s most daring, and darkest record. Some great songs came out of the three-piece band’s eight track LP, with the main highlights being the warming 3WW and the tongue-in-cheek Hit Me Like That Snare, accompanied by the more radio-friendly Deadcrush and In Cold Blood. Arguably one of the most underrated artists on the planet. If you’re looking for a great blend of jazz and r’n’b, with playful basslines interweaving through the guest-laden tracklist, including the legendary Kendrick Lamar on Walk On By. A real highlight, and a definite must-listen. The band’s first record in over fifteen years is one of the best rock records of 2017. Their live sets are incredible, but so are their studio records. Governed By Contagions and Incurably Innocent stand out here, but this is a strong record throughout. And hopefully, just hopefully, there’s more to come. 28: Declan McKenna – What Do You Think About The Car? The indie sensation’s debut record is one of my personal highlights of 2017. His intelligently crafted lyrics with a warming maturity for his age shows he’s on the path to greatness, with songs about politics (The Kids Don’t Wanna Come Home) and transgender bullying (Paracetamol). The most hyped duo in hip-hop made their return in 2017, and it was definitely needed. In a year plunged into political turmoil, Run The Jewels produced one of the most politically charged records in decades, with the incredible Legend Has It topping off a great LP. The most versatile man in music released another incredible record this year. With a new pop sound, Beck’s ability at producing catchy melodies and fun lyrics were showcased in Colors. Up All Night and Seventh Heaven were definitely the highlights here. An absolute blockbuster of a record. Wiley’s return to a more ‘harder’ sound paid dividends with the critically acclaimed Godfather. Packed with MC guests like heavyweight Skepta, this record is full to the brim with certified bangers like the huge Can’t Go Wrong. 24: Noel Gallagher’s High Flying Birds – Who Built The Moon? The new Arctic Monkeys? Yes. The Sheffield band have had a huge year, with two sold out tours and a huge following. The record is close to inch-perfect with their anthemic tracks Chasing Shadows and Last Night proving that they are one of the hottest bands around. Everything Now is everything that we expected from a new Arcade Fire record. A fresh 80’s-like sound on the title track and the pounding Creature Comfort really combines with the more gentle tracks like We Don’t Deserve Love. A very enjoyable record. 21: Royal Blood – How Did We Get So Dark? The rock duo returned in 2017, fresh off the back of 3 solid years of touring their debut record, with an even heavier sound than before, but with a few twists. Although their classic sound shines on Lights Out and Where Are You Now?, they experiment with new sounds, with Hole In Your Heart featuring keyboards. next Friday 15th December at 7pm!